The well known photo above was taken at Victory Aircraft, Bay #3, in Malton Ontario. The occassion was the completion of the 100th Lancaster MkX built by Victory Aircraft. Many of the workers gathered around KB799 and perched on her wings. 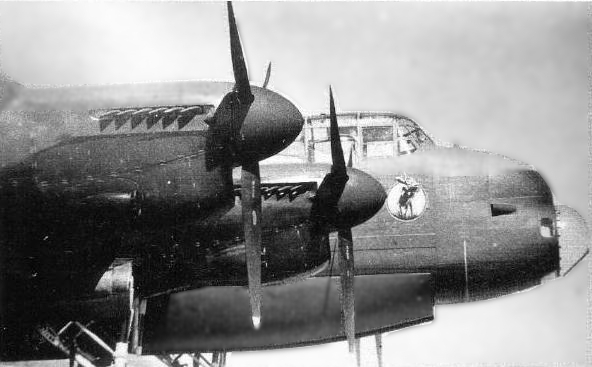 The photo somewhat reminisent of the photos taken when KB700 "Ruhr Express", the first Lancaster X was rolled outmany months earlier. The story behind the design was that 419 squadron had completed more sorties in Lancasters then it had in Halifax bomber. I am not positive that was the reason, from what I have read once the Lancasters were overseas and inspected by AVRO then it was decided which squadron they were to be alloted to. So this explanation suggests that the Lancasters were already assigned to squadrons before they left the factory. 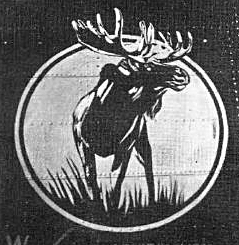 In any case the design showing a black painted moose with white highlights in a yellow circle was completed on both sides of the fusegae at the factory before leaving for Britain. 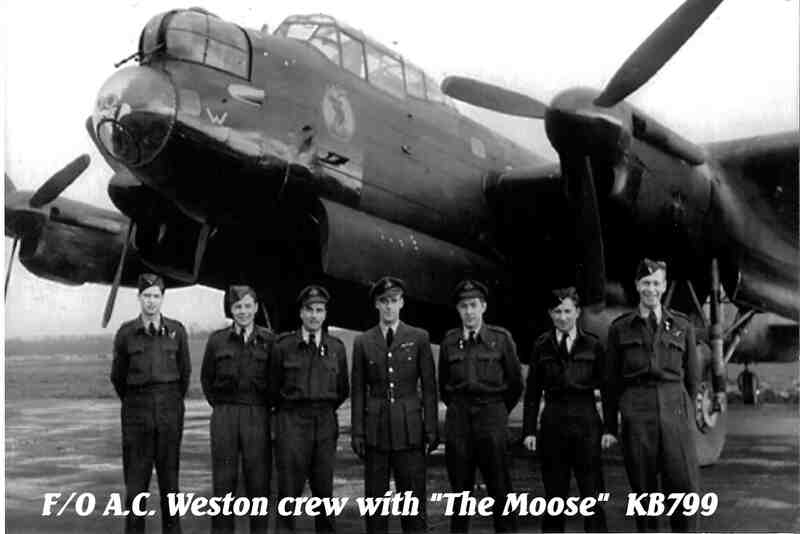 When it did arrive at 419 Squadron in September of 1944 it became VR-W. ( The previous VR-W, KB707 had been damaged during a landing on September 19th) "The Moose" first operational sortie on September 27th, 1944 and flew operations until it was shot down on January 15th 1945. 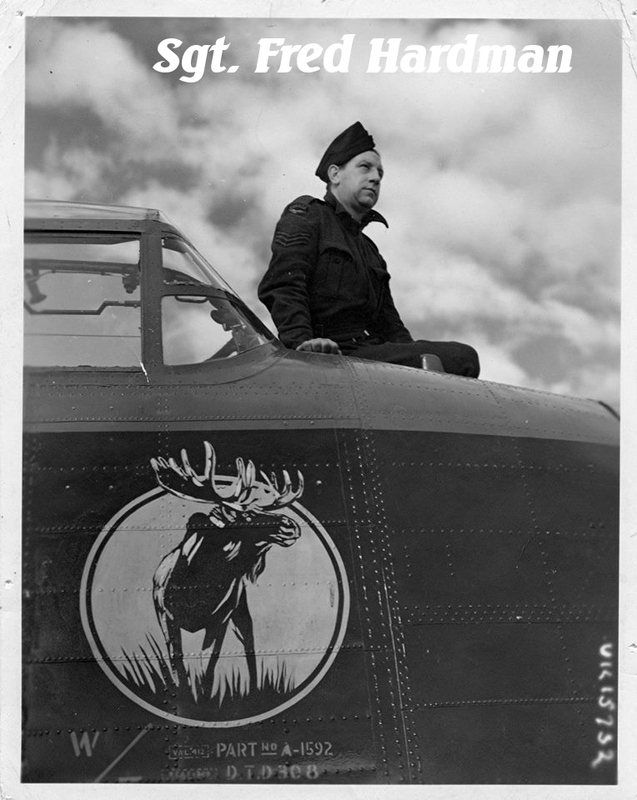 The Pilots of "The Moose"
Over ten different pilots flew KB799 on operations, F/L A.A. Bishop on four was only surpassed by the fourteen operations flown by F/O Norman Roger Vatne of Vancouver. The others only flew once or twice at the most. 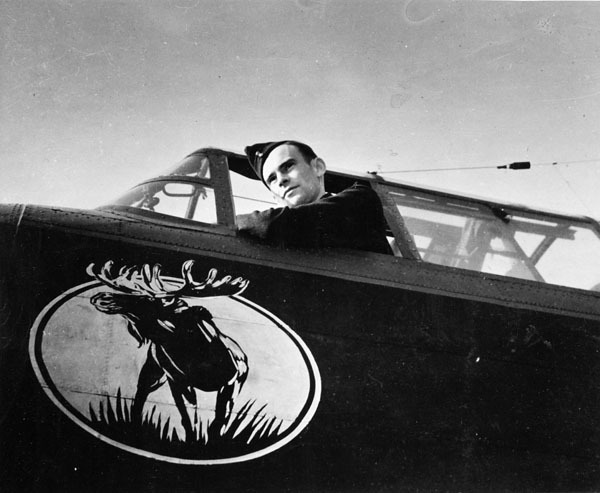 F/O Vatne was killed while on an operation on January 15th, 1945 he stayed at the controls of "The Moose" to give his crew the chance to escape.